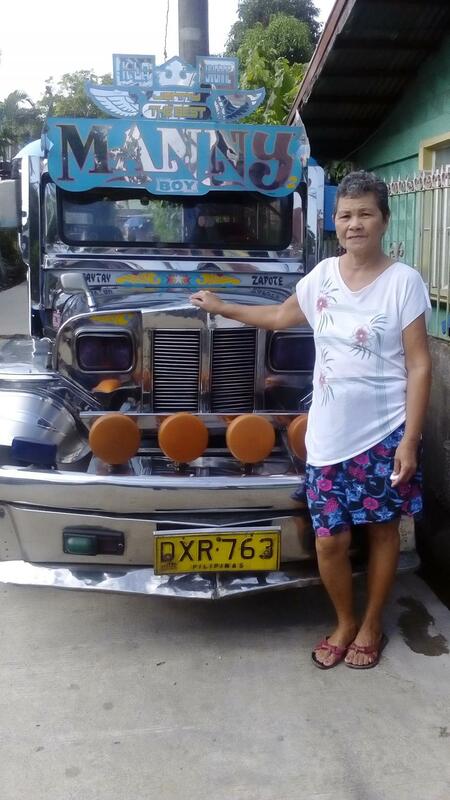 A loan of $650 helped to pay for spare parts and maintenance of her jeepney vehicle. Amelia is 64 years old and is very thankful for all the help she has received before. Today she is in need of your help to pay for the maintenance and necessary spare parts for her jeepney unit. The jeepney is a locally assembled vehicle and is a very common means of public transportation in the Philippines. Every day she prays to God for the continuous growth of her business. Amelia is a loving wife and mother. Her family serves as her inspiration to continue to work hard each day. She hopes to one day buy another jeepney unit that will greatly expand her business. She also believes that through this, she will be able to have more income and allow her family to have a more comfortable life. She faithfully meets up every week with her co-fellowship* members to share stories of her work and also draw strength and inspiration from the Word of God she studies. *All CCT community partners/clients are organized into fellowship groups that meet on a weekly basis. A fellowship group is composed of 15 to 30 community partners. The fellowship groups gather each week to study the Word of God, build social capital, and repay microfinance loans.